Getting your accounting needs and tax necessities taken care of over the phone or through an online appointment is a dream come true for those individuals who opt to go for this route. Of course, it is always nice to meet your chartered accountant in person and have a discussion with them face to face but the reality is that nowadays everyone is far too busy to take time out for such appointments. Many people end up pushing their taxes and other important financial consultations to the last minute simply because they cannot take the time out to drive over to a local chartered accountant in Toronto. There are 5 major benefits of opting to go with an online accounting firm. 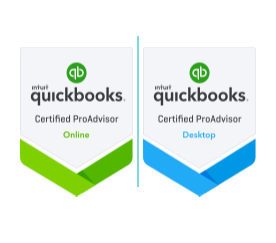 Naturally, one of the biggest advantages of booking an online appointment and filling out online forms to get you accounting needs fulfilled is that you can save a tremendous amount of time. All the time spent in getting ready, clearing your schedule, driving over to the firm, waiting for your turn, then going through the actual meeting (all interruptions included) and driving back can take a good hour or two out of your schedule. When you book online you simply have to take a few minutes out and find a quiet place to discuss your concerns before getting on with life again. When you don’t have to drive you also don’t have to use gas which can save you money. Also, you can get a few more hours in at work and pocket that money instead of taking out 2 hours to drive over to a physical location for your meeting. Talking to your small business tax accountant face to face in a professional environment can be a little nervewracking and you may find that you are forgetting the long list of questions you had planned beforehand. When you go with an online meeting, you can see your accountant on camera but you are still in your comfort zone and therefore can stay relaxed and focused throughout the session. Online information is obviously easy to access and your accountant can keep updating you on your file and your case through email and other modes of online correspondence. You don’t have to call in or drive to the firm to get your information. Since the information is easy to access it is also given to you much faster. You can get regular updates and if you have any more questions or concerns which you need an immediate response to, you can quickly book another appointment for a time which is most convenient for you. If you really don’t have the time to go meet your accountant you can always opt to go with an accounting firm that offers online services. you can receive secure and protected online consultations with chartered accountants and get and give all the information you need to get all your accounting needs fulfilled. When you choose online accounting you save money and time. You also get a chance to have the meeting while in your comfort zone so you can remain focused. Since all the information will be online you can also stay up to date and receive information in record time by simply shooting an email.